THOUGHTSKOTO Thoughtskoto : Canadian Migration Scam In UAE, Run By Pinoys? Canadian Migration Scam In UAE, Run By Pinoys? A Canada migration scam who uses attractive salary as a bait to lure their victims hit Abu Dhabi. After collecting an average of AED 20,000 to AED 30,000 for each of their victims after promising them assistance for working and migrating in Canada, Frontier Management Consulting company allegedly run by Filipino nationals vanished in thin air, their office in the tourist club area has been closed. The frustrated victims who spoke with Khaleej Times, a news agency in the UAE, said that with high hopes of finding greener pastures in Canada, some of them sold their farm lands to raise money for the migration processing fee asked by the company. "I sold my ancestral land in Philippines for the dream of living and working in Canada. I have lost all my life savings. I am ashamed to even talk to my mother who keeps asking about my job in Canada " said Clariza Alban during an interview with Khaleej Times. Alban has been dealing with the company for Canada migration since 2012. From her initial payment of AED 1,000 the company has collected a total of AED 25,000 as they constantly assuring her that her visa is under process and she will be flying to Canada anytime soon but all of it only remained as words. After 5 long years of waiting, her Canada dream has fallen to crumbles. Alban said that at that time, she was working at a fastfood chain with a salary of AED 1,250 per month. Due to her eagerness to work in Canada, she asked her mom to sell her rice field in the Philippines. She did it and raised AED 15,000 which she immediately sent to Alban. 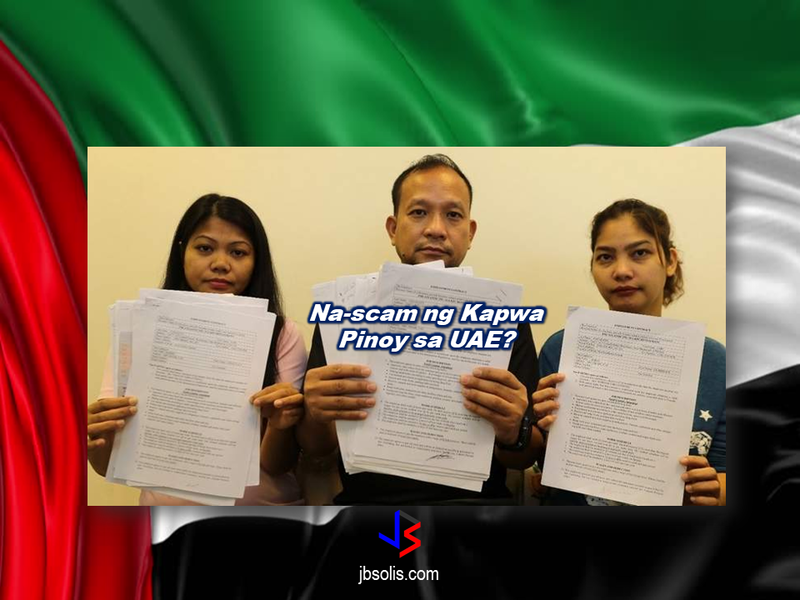 Another OFW in abu Dhabi, Mario Calimag, borrowed money from his relatives and sold a real property to raise AED 28,000 the company was asking. Calimag said that it was his dream to find a better job abroad but now, he just want to have his money back. Khaleej Times visited the office of the consulting firm, it was closed bearing a notice from the court advising the company owner to appear before the Labour Reconciliation and Settlement Committee at the Abu Dhabi Court of first Instance. The other victims of the migration scam might have already filed a case in court against them. they were trying to contact the mobile numbers earlier provided by the company to their clients but to no avail. Another thing is that the Canadian company, which Frontier claimed to be affiliated with is nowhere to be found even on the internet. Upon speaking with Khaleej Times, the victims said that the managing director was asking them to be patient every time they were asking about the status of their application." said Sohayle Ramos, another victim who paid Dh22,800. Many had even signed employment contracts before making payments of Dh11,000, as the third or final payment. 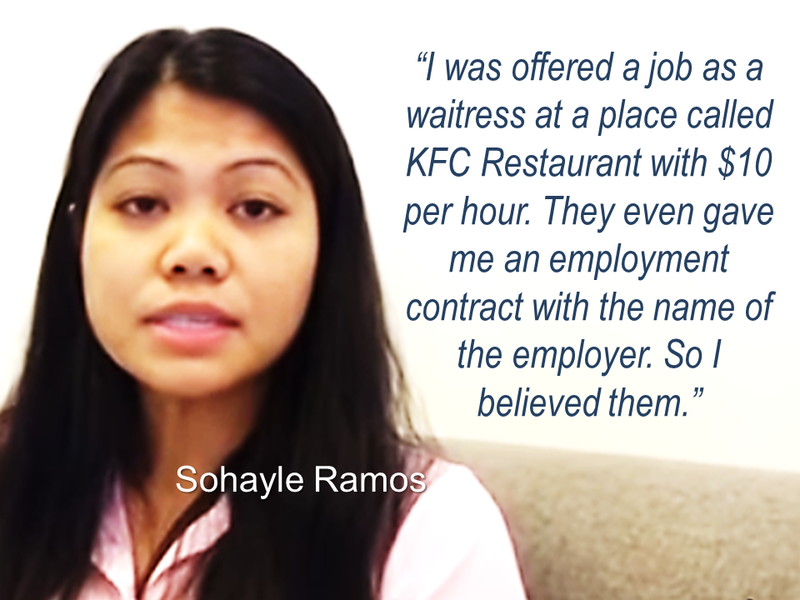 Another OFW victim, Sohayle Ramos paid a total of AED 22,800 to the company and they even issued a dummy employment contract. The victims said that all they want now is to get their refund from the bogus Canada migration consultancy the soonest time possible. They are also giving advises to those who also want to work in Canada to be careful with making deals to any consultancy firms that promises things that are too good to be true just to squeeze-off their hard earned money. 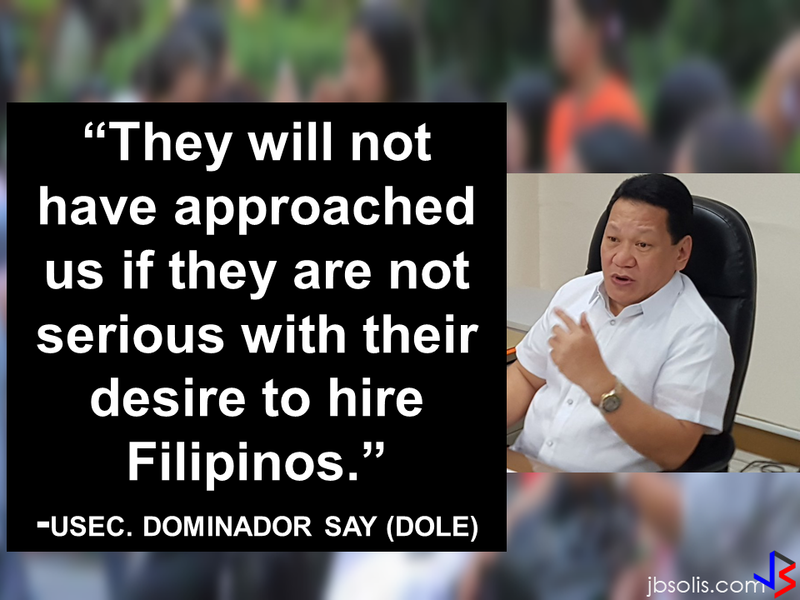 For them, it is too late before they knew that they had become victims of scammers who were, sad to know, their fellow Filipinos. DED has called upon consumers who have dealt with any fraudulent companies to file their complaints by calling the Ahlan Dubai hotline number at 600 54 5555. Tags Abu Dhabi, bogus migration assistant, INFO, Khaleej times, migration scam, news, ofw, UAE, video.